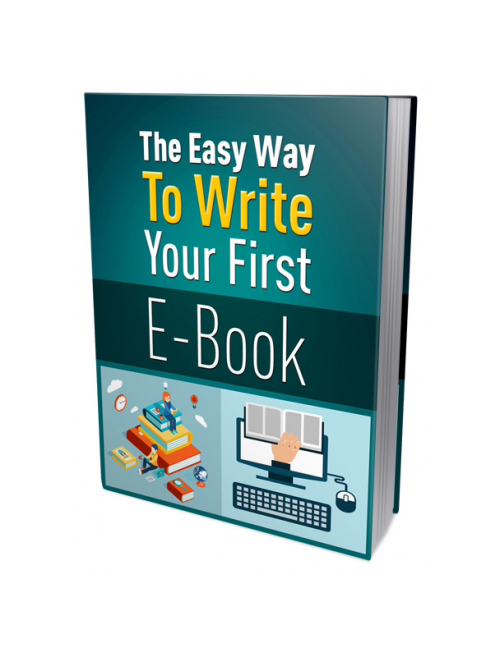 The Easy Way To Write Your First E-Book is a simple but professional expert guide that shows you step by step how to create your first ebook and succeed. It’s not just about what you know when it comes to writing. More like it’s about putting that information out there in an understandable and user-friendly manner that makes it easy for readers to feel like they’ve found value. It’s actually a lot simpler than you could imagine. With all the available information out there on the web alone, you won’t be short of finding sources for the specific niche topic that interests you. There’s a market for everything and a reader-base that’s ready and waiting to get a chance to read your work. Everything you need is right at your fingertips and from there you will climb straight to the top if you like. The Easy Way To Write Your First E-Book is your perfect solution to writing and winning with your very first e-book. Download it today and get started!